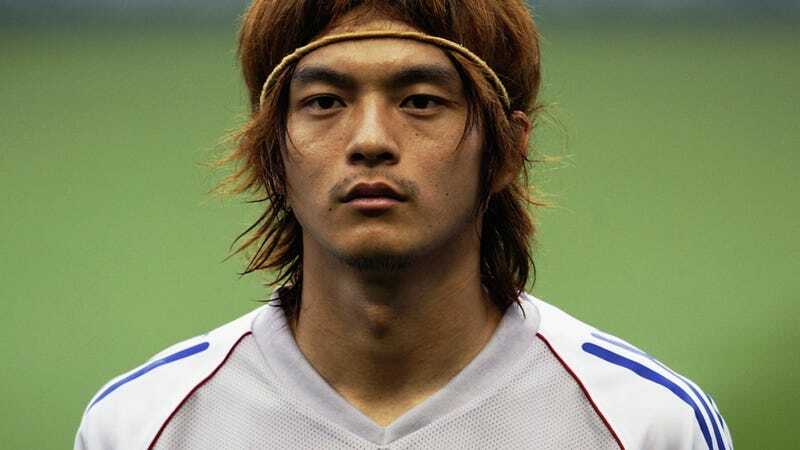 Today, soccer player Naoki Matsuda died due to cardiac arrest complications. He was 34 years old. Also today, a PSP game he promoted went on sale in Japan. The game is Sega soccer title Make a J. League Pro Soccer Club! 7 Euro Plus for the PSP, and Matsuda even appeared as a special download. Copies of the game contain a card to download six soccer players, and Matsuda is included among them. Japanese game magazine Famitsu released a special issue for the game, and Matsuda appeared on page 3 to talk about his love of video games and soccer games. Like many professional athletes, Matsuda loved to unwind after matches and practice by playing video games. Matsuda loved gaming since he was a kid. Matsuda played primarily for the Yokohama F. Marinos, a club he joined at the age of 18. He also represented Japan at the 1996 Olympics and the 2002 FIFA World Cup. Earlier this week, Matsuda collapsed during soccer practice, going into cardio-respiratory arrest, according to Reuters (via Los Angeles Times). Matsuda was put on an artificial respirator, but passed away at a hospital in Nagano earlier today. Sega updated the game's official site, offering its deepest condolences for Matsuda's passing. Japanese netizens suspect that the game would be pulled due to poor timing. This isn't Sega's fault, and it's not only the game's release that's bad timing: there's also passing on at the very young age of 34.